My Mummy's Pennies: Win a fabulous Teething Bling Pendant in Apple Candy Red! Win a fabulous Teething Bling Pendant in Apple Candy Red! We all know how babies love to chew and grab on anything in their reach. Because of that most mummies don't wear jewellery when they have babies or young children. Teething Bling from Smart Mum UK are here to change that! 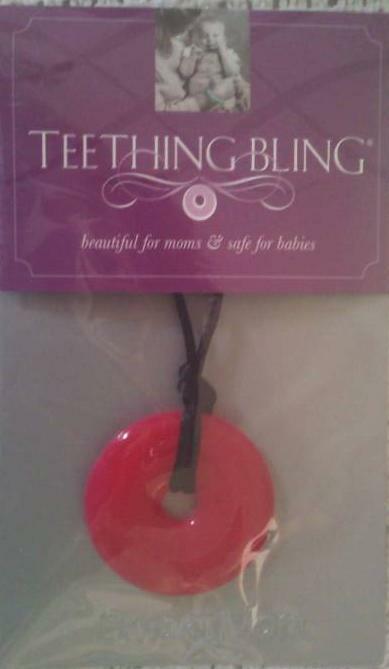 Teething Bling is the original teething jewellery range. Made from the same material as most Teething toys and available in a range of fantastic colours, the fabulous pendants and bangles allow mummies to wear fabulous looking jewellery again! Now Mummies, if you read my blog or follow my facebook page you will most likely be aware of the fabulous Teething Bling Pendants and Bangles from Smart Mum UK, because I just can't stop talking about them! I discovered them a few months ago and now I (and my daughter!) couldn't be without them! I currently have two pendants and a bangle but will be purchasing more colours as soon I have saved some pennies up! As well as them being great for Elizabeth to chew on, I have found them great for her to play with while breastfeeding as she is now 8 months old and was starting to get distracted when feeding and my skin was getting covered in scratches, but now she just plays with the brightly coloured pendant while she feeds and my skin is saved! Check out this clip of Myself and Elizabeth with one of our Teething Bling pendants! You can also read our full review here! You can buy these 'Mummy Saving' pendants and bangles from Smart Mum UK's website, and don't forget to follow on Twitter and like on Facebook too, to be kept up to date with news, great offers and giveaways! Now you're read all about them and seen the pendants in action, here is your chance to win a fantastic Teething Bling pendant in Apple Candy Red! I think Teething Bling are a fantastic 'Mummy Saving' idea as I really missed wearing my jewellery when I had my children. For your chance to win tell me what do you miss the most from your pre-baby life? Competition will close 9pm 26th August. I miss going out (anywhere in the car) with out having to take a whole list of 'spares' and thinking have I forgotten something?! I miss just being able to grab my handbag keys and phone and head out of the door, now i have to almost a suitcase just to go to the shop with 3 children lol. Love teething bling is the best. I miss being able to be spontaneous with my partner, for example going out on a whim and if we feel like going away for a night at the last minute we can. It makes you appreciate the precious time the two of you get alone more. Am claiming 4 entries. I miss the long lazy lie ins...that don't involve being kicked in the ribs or pushed to the very edge of the bed by a 1 year old. I miss being able to have a proper lie in, and reading a book in the bath! I miss not having enough time for myself for example from having my make up done daily to attending gym classes or meeting a friend over a coffee. I miss being able to attend get togethers with friends. If someone invites us somewhere it is a struggle as we don't have any family near so are short on babysitters which means me and my husband don't get much time to ourselves as the baby always has to come with us unless we can arrange a sitter which has to be done weeks in advance and we can't always get someone. pennies being tight as they are we dont get to go out anywhere without the children so i cant even have jewellery i wear when the children are not around because baby sitters and going out cost so much!! I really miss a very long bubble bath to relax and slleping through the night musn't be forgotten from my list, even though i don't think i'll have either any time soon. Oh well my lo is worth it all. Love being a mum more than anything though. i miss having my hair done before my little one was born i had it bleach blonde now only the ends are blonde, i tried to get it cut but its rather difficult when all my baby wants to do is breast feed, shes six months now and still feeds every few hours, hoping by the time she is 1 my hair will be back to the way i want it but at the moment im lucky if its clean! Following blog and FB page! im already a liker of teething bling but posted u sent me,im already a liker of mymummyspennies page.i tweeted and shared.im following your blog and on twitter. i miss not being able to just nip to the shops without it becoming a military operation !!!! I miss the ability to go to the loo when your out and about, when its just me and my twins its impossible, ive never seen a loo big enough for a double buggy! I miss being able to go out (or afford) for a date night with my husband whenever (or wherever) we felt like it. i miss just being able to get up and go! now i have to think, check and double checkk every thing before i go anywhere!! I miss going out with friends and having some 'me' time although i love my daughter to bits. Would be nice just to have a few hours to myself. I miss just been able to get up and go out without sorting spare clothes, nappies, etc. I miss having a bath without a getting a knock on the door asking for juice or food. I have likes your facebook page. 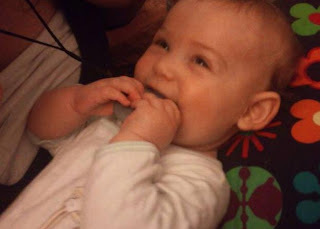 I have likes Teething bling page and said you sent me. I miss having a brain that sort of worked! im hoping itll come back one day x im a liker of your facebook page x can contact me on fb caroline kelly was ayre im also already a liker of teething bling N cant wait to own one! I miss most from pre baby the energy I had, i used to be able to go gym in the evening now Im shattered by 7! Hi, I would love to enter please,I already like teething bling on fb and follow on twitter, I like my mummies pennies on fb (Emma Morison) and twitter (@ejm_1), I already follow the blog.